We asked Westlake Middle School students and they voiced strong ideas around current politics, the quality of food in schools, housing and immigrant rights. These young people addressed violence and envisioned a world filled with peace and unity. Concepts of Design: color theory, composition and typography were applied to posters that will be exhibited at Westlake Middle School. Nikko’s piece below, is about celebrating diversity and respecting all people. Enjoy these words of wisdom from our Oakland Youth. On Giving Tuesday November 29th, 2016, we launched our #ArtAsActivism campaign featuring our student artists using art as tools for healing and community empowerment. It’s not too late to join in and support! Help us raise visibility of our student artists’ on social media by ‘Liking’ our #ArtAsActivism posts. Donate to AHC to keep our programs alive. Our work is not possible without your help! WOLLP After School Program serves high school Youth over the course of three consecutive 10 week sessions. The program is a collaboration between AHC, City Slicker Farms and the West Oakland Environmental Indicators Project. Each Week students build leadership skills, connect with civic leaders, experience Visual Art, Urban Agriculture and Environmental Science. The program is completing its first 10 week session culminating with a financial literacy training as students will be receiving the first stipend for their civic engagement as leaders in WOLLP. During this session students began learning about traditional Ohlone Culture, Oakland’s local history, local ecology and environmental science activities including soil quality testing. Students also engaged in traditional and contemporary art through tule technology, ceramics, plaster casting and paint focusing primarily on 3 dimensional forms. Upcoming lessons will include Air Quality monitoring, invistigating the connictions between quality of life concerns and the watershed, wind technology, two dimensional art techniques and Advocacy in art. Over the past week, the need for Healing Circles have intensified. A string of senseless deaths due to gun related violence and the horrible tragedy of the Ghostship #OaklandFire have taken a toll on Oakland residents and its community. We extend our heart, love and hope to our families and to all of Oakland during this very difficult time. 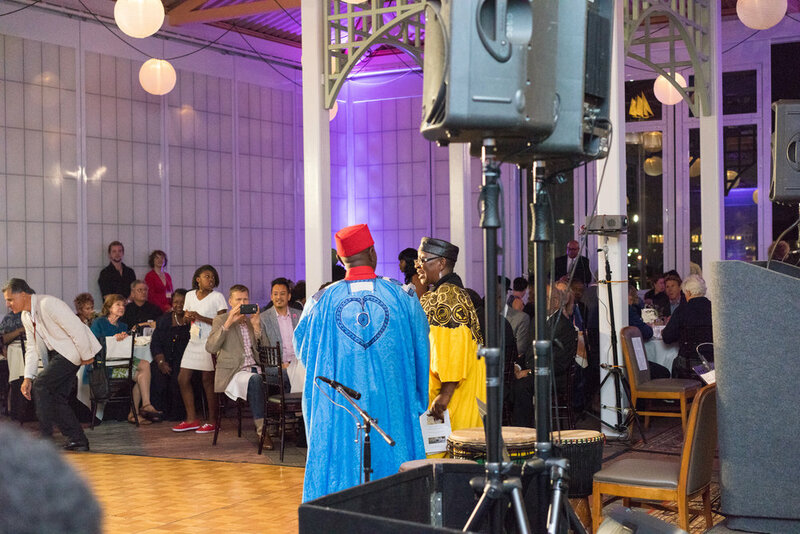 On November 5th, 2016, the Attitudinal Healing Connection held its 27th Anniversary Gala, celebrating 27 Years of Building Legacy and honoring friends and family who have exemplified our mission to empower and heal communities to break free from the cycles of violence through art, creativity and education. 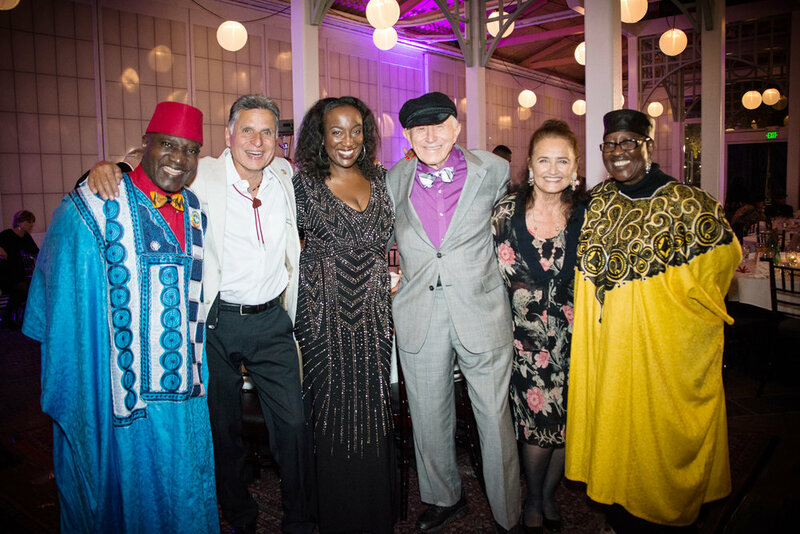 AHC Co-Founder Kokomon Clottey, AHC President Guillermo Ortiz, AHC Executive Director Amana Harris, Founders of Attitudinal Healing International Gerald G. Jampolsky and Diane V. Cirincione-Jampolsky, and AHC Co-Founder Aeeshah Clottey. It was a truly magical evening that included a banquet dinner, silent auction, our Super Awards Ceremony, and live music and dancing with the King Cosby Band. 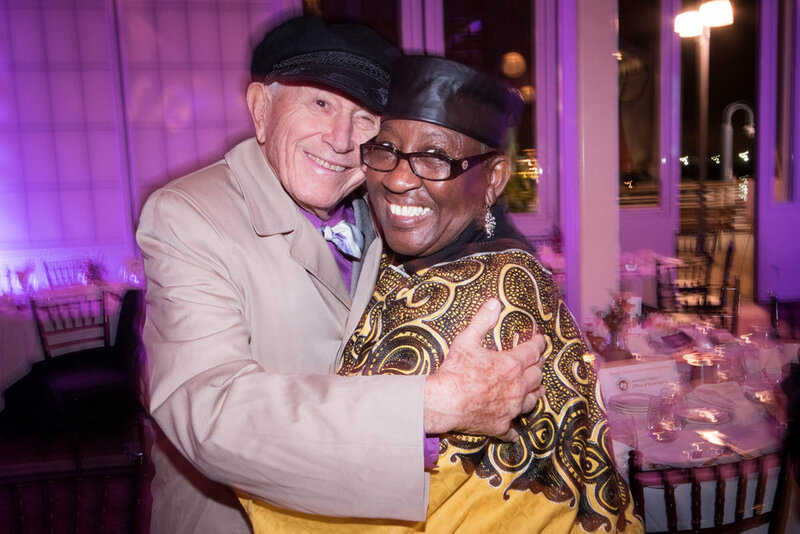 Over 200 guests gathered to join us at Scott’s Seafood Pavilion, including the Co-Founders of Attitudinal Healing International, who created the 12 Principles of Attitudinal Healing which have laid the foundation for our work and legacy over the past 27 years . 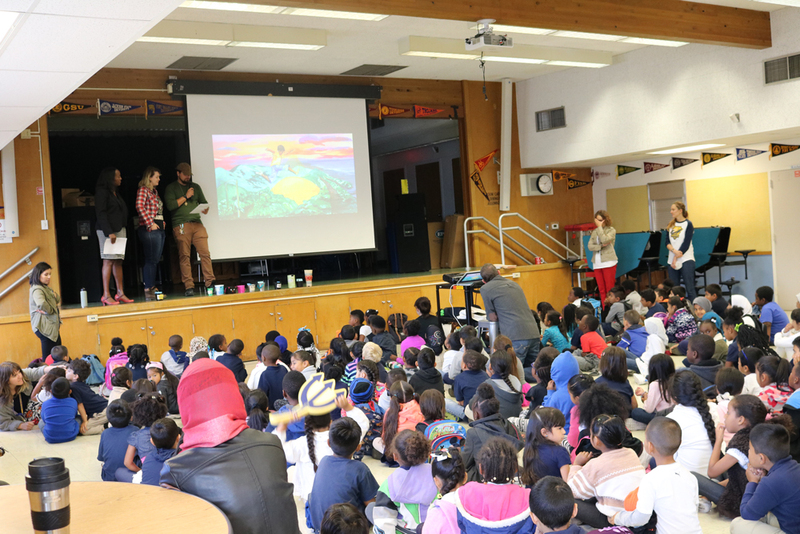 Through this event, we were able to raise more than $60,000 to support AHC’s programs, including ArtEsteem, the Oakland Super Heroes Mural Project, the West Oakland Legacy & Leadership Project. Because of the generous support of our sponsors and community, we will be able to continue our work building vibrant communities and opportunities for our children and families to truly thrive! Thank you to all of our sponsors and everyone who attended. Here are some of our highlights from #AHCGala2016! 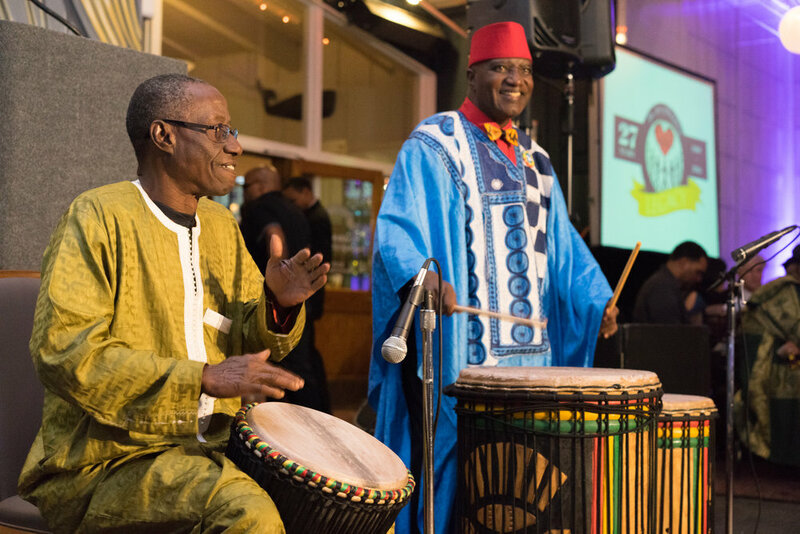 AHC Co-Founder Kokomon Clottey and Ousseynou Kouyate opened the evening with the beautiful sounds and rhythms of West African Drumming. Our MC and President, Guillermo Ortiz, offered a beautiful invocation, calling on our ancestors and the spirits of the earth to fill the gala with love and good energy. Our Founders Aeeshah and Kokomon Clottey thanked our sponsors and friends for their generous outpouring of support. Guests were treated to powerful and moving testimonials from some of our program alumni and participants. Mike Brown was a 7th grade student at Lowell Middle School when he first joined AHC’s ArtEsteem program, during the 2004 / 2005 school year. Mike Brown went on to graduate from Skyline High School in 2010, joined the Navy in 2011, and returned to join us at the gala after his deployment. 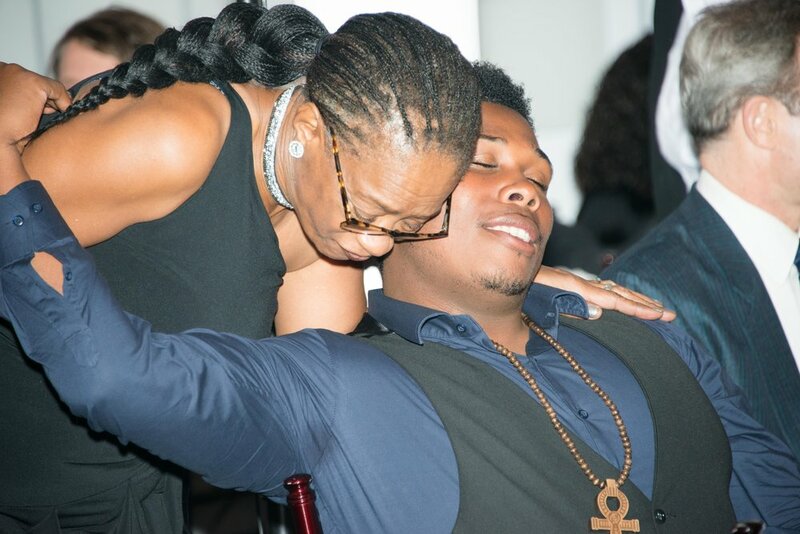 He spoke at our gala about how his time with ArtEsteem impacted his life as a youth and young adult. “AHC has had a great impact in my life. They helped me keep me sane, and helped me become the young man that I’m continuing to grow to be. I learned a lot of life skills around work ethic, and how to be a great human being. I am so thankful that all of these people have come into my life and I really appreciate all of you." In 2007 we had the opportunity to launch a 12 week leadership program that was conceptualized as a means to support Oakland residents to build their inner transformational tools, skills, service learning and resources in order to create more positive communities, schools and safe neighborhoods for themselves and their families, despite the negative influences and challenging circumstances many of them experience. Anaya Williams, a Neighborhood Leadership Institute graduate, shared how her experience in the program changed her life. 5 years ago, Kenny Johnson and his family were devastatingly impacted by the violence that affects too many of our youth today. AHC made a commitment to continue healing circles for Kenny; and with the support of his family, community, and others, Kenny has demonstrated miraculous strength and a remarkable ability to forgive. His untethered belief in his ability to heal and overcome tremendous odds has been extraordinary, and we were honored to have Kenny join us and speak about his experience with AHC Healing Circles. His testimonial received a standing ovation. Antwan Wilson graced the stage and spoke about what “The Art of Building Legacy,” means for him as the Superintendent of the Oakland Unified School District. "We can choose to say that We have tens of thousands of young people, black white and otherwise, who do not know their history. During our Super S/Hero Awards ceremony, AHC honored 3 passionate community leaders who have dedicated their work to empowering the lives of Bay Area youth and families . We honored Carmen Hendon as one of our Super Sheroes because of her remarkable devotion to the children of Oakland. During her thank you speech, she lead gala attendees through the same call-and-response chant she has been using to begin the day with her students for the past 40 years. Our Super Hero Brahm Ahmadi is a social entrepreneur who works passionately to build healthier inner city communities by creating change within the food system. His work has received national attention for its projects in food enterprise, urban agriculture and nutrition education. We honored Chris Chatmon as one of our Super Heroes because of his commitment to improving life outcomes for all youth and especially African~American males. He has dedicated his career and life's work to creating pathways of success within Oakland and beyond. A beautiful silent auction full of art and gift baskets donated by individuals and businesses all over the Bay Area helped us raise over $5,000 dollars to support and continue our work. We also held a raffle with 3 prizes that included, a $300 Gift Certificate to Pave Fine Jewelry, 1 customized deep carved djembe drum from Sageman Drums, and an amazing 5-day stay for two on the beautiful island of Kauai! Abel J Guillén, Acote, Adventure Cat Sailing Charters, Amana Harris, Amin Hassan, American Conservatory Theater, Aquarium of the Bay SF, Barefoot Movement, Barnes & Nobel, The Dock, Bladium Sports & Fitness Club, Blue and Gold Fleet, Books, Inc., Boca Nova, California Canoe & Kayak, Children’s Fairyland, Dashe Cellars, Dan Kalb, Diane V. Cirincione-Jampolsky, Ph.D., Exploratorium, Fine Arts Museum of SF, Flax Art & Design, Flying Studios, Forge Pizza, Franne Golde, Golden Gate Fields, Great Western Power Company, House Kombucha, Gerald G. Jampolsky, M.D., John Ezelle, Keena Romano, Kokomon Clottey, Kimberly Turner, Kingston 11, Lindsey Millikan, Metropolitan Golf Links, New Parkway, NHI Massage School, Numi Tea, Oakland Ice Center, Oaklandish, Oakland Museum of California, Oakland Symphony, Pave Fine Jewelry, Piedmont Springs, Pier 39, Pikesville, Pixar, Rose Sullivan, Richard Cohn & Barbara Gay, Sageman Drums, San Francisco Zoo, SF Exploratorium, SF Museum of Modern Art, Siu Ming Leung Garber, SoleSpace Clothing, Spirits Competition, St. George Spirits, Starline Social Club, The Brow Lounge, The Crucible Oakland, Waterfront Hotel, Will Davis & Paula Powers, Whole Foods, Guillermo Ortiz and the Yerba Buena Center for the Arts. Following the powerful speeches and testimony and raffle prizes, we sang and danced the night away with the King Cosby Band. Special thank you to our table captains, sponsors and donors that made our Gala possible. We encourage our friends and community to support these organizations and businesses who have answered the call to contribute and join us as we continue to create a safer, more just world for all. Ubuntu! We cannot be without you! See you at our 30th Anniversary in 2019! Greetings! This is a very important week for AHC. As we gear up to celebrate AHC’s 27th Anniversary Gala: The Art of Building Legacy, we take the time to reflect on the many incredible stakeholders that have been a part of our vision. This year marks AHC’s resiliency, tenacity and ability to thrive! We are clear that so many individuals, businesses, foundations and corporations have been instrumental in our development and growth and we are incredibly thankful and humble. For all of whom will join us this Saturday, thank you for being with us during this amazing and special moment. For those unable to make it, we know that you are with us in heart and spirit. AHC’s 27th Anniversary Gala: The Art of Building Legacy is: SOLD OUT! If you would like to join us for the next AHC Anniversary Event, mark your calendars for our 30th Anniversary Gala in the fall of 2019! Kokomon Clottey is a celebrated and accomplished individual, whose many successes are diverse in medium and subject. Despite the different approaches Kokomon’s projects take, they each carry a perpetual theme in their objective: to make the world a better place by bringing people together in the cultivation of peace. 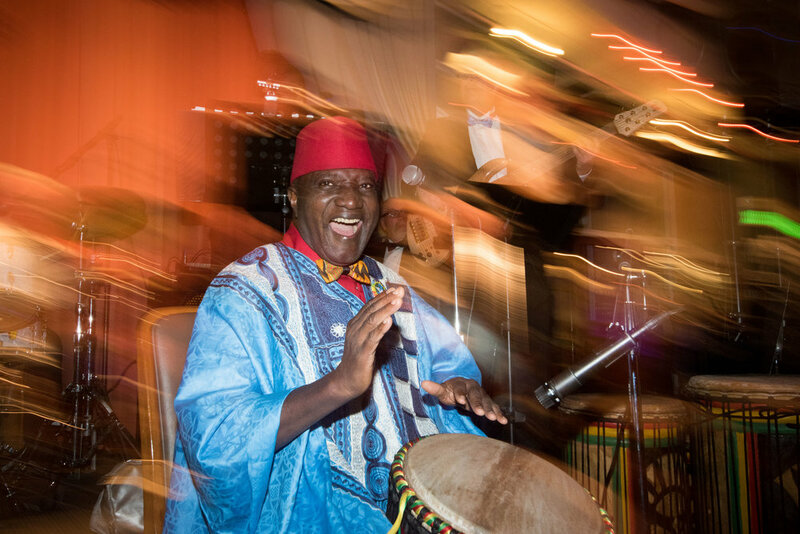 As a founder of Attitudinal Healing Center (AHC) with his partner, Aeeshah Clottey, Kokomon’s practice is community oriented, and always strives to work with those around him in bettering our world. 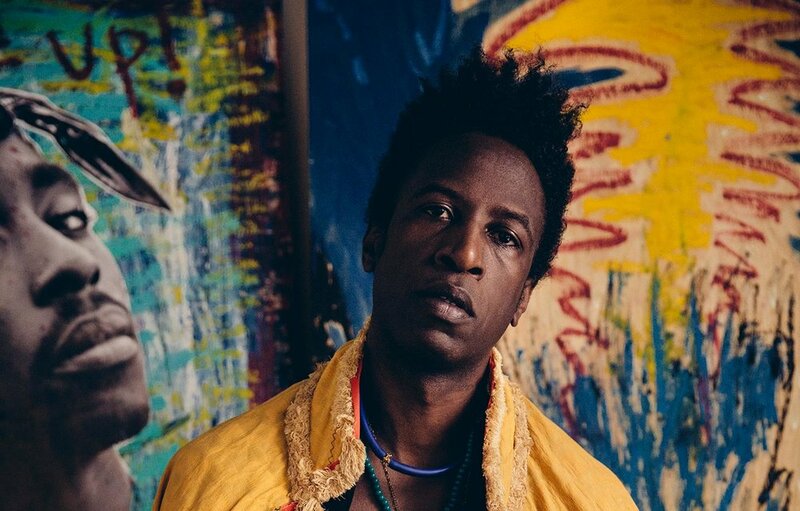 Born into the Ga-Adagbe tribe in Accra, Ghana, Kokomon’s sense of spirituality and knowledge of ancient rituals is deeply intertwined in his work. Now residing as an active community leader in Oakland, California, Kokomon unifies indigenous wisdom of the Ga tribe with the culture of his hometown today. Kokomon applies his wisdom and teachings through music. 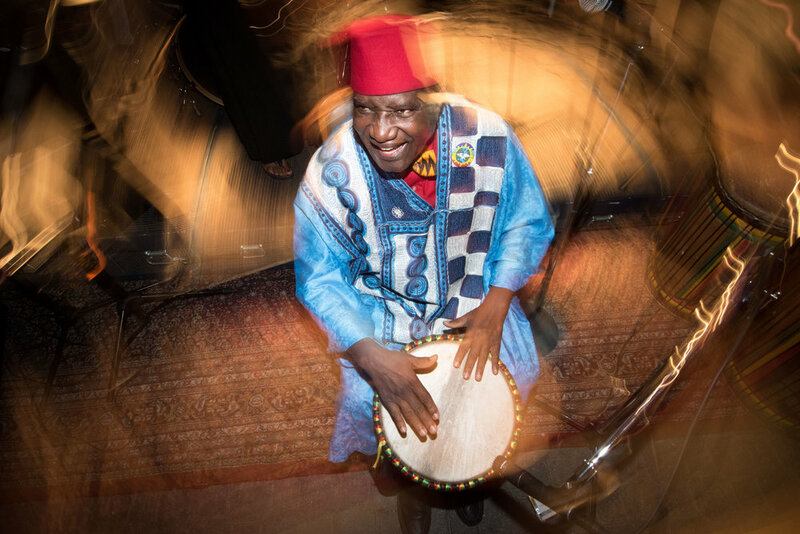 He teaches and hosts the ancient practice of Mindful Drumming, a community act of meditation, collective healing and personal wellness at the AHC headquarters in West Oakland. He is also an accomplished musician, having mastered a variety of instruments and producing multiple records which feature his beautiful songwriting and unique style. As an author, Kokomon wrote and published, Mindful Drumming, Ancient Wisdom for Unleashing the Human Spirit and Building Community. He co-authored Beyond Fear, with his wife Aeeshah Clottey. They contributed a chapter to the book, Imagine - What America Could be in the 21st Century: Visions of a Better Future From Leading American Thinkers, edited by Marianne Williamson. Kokomon also produced two compact discs, Love Is the Answer and Mystic Vision and recently produced a bold new compact discs, Quest which he will gift to every one who comes to the AHC’s upcoming Gala on Saturday, November 5th, 2016. To name all of Kokomon Clottey’s accomplishments would take a book itself, what is written here is just the tip of the iceberg. Above all else, Kokomon carries a message of hope and healing, through teaching children, through celebrating the arts, through music and literature. By incorporating ancient rituals of his ancestors in a contemporary context, Kokomon creates an authentic perspective of how peace and healing can be achieved through forgiveness in the years to come. Oakland celebrates his legacy of wisdom, his founding of AHC, and his teachings of peace, healing and love through the arts. Kokomon welcomes you to attend AHC's 27th Anniversary Gala. Please join us in celebrating 27 years of Art, Creativity, Healing and Transformation for Bay Area children, youth and families! Finalized design concepts from Attitudinal Healing Connection's next Oakland SuperHeroes Mural Project (OSH) are ready to be revealed. The design process included more than a years worth of collaboration between student artists at Hoover Elementary and AHC’s Lead Mural Artist Lindsey Milliken. The design was created in collaboration with student artists at Hoover Elementary and Lead Artist Lindsey Milliken. The mural will be painted in the West Oakland's Hoover Corridor under the I-580 underpass, directly across from AHC's 3rd Oakland Superheroes Mural Project. Production is slated to begin March 2017. AHC Executive Director Amana Harris, Lead Muralist Lindsey Milliken, and Project Manager Justin Metoyer Mullon reviewing preliminary drafts of the #4th OSH Mural design with the Hoover Elementary Student Body. The #OaklandSuperHeroes Mural Project is West Oakland's first ever large-scale mural and beautification project, and its goal is to cultivate, educate and engage youth in community issues and solutions through the power of public art. OSH was born out of AHC’s ArtEsteem Self As Super Hero curriculum, which has been taught in Bay Area schools for well over 10 years. The curriculum asks students to identify problems in their community, and to reimagine themselves as super heroes with powers to solve them, which are brought to life through the creation of stories and life-sized portraits. The stories and portraits are then incorporated into the Oakland SuperHeroes Mural Project. Golden Boy, who uses his magical shield to fight crime, rehabilitate criminals and protect the city from earthquakes and natural disasters. D-Bow Jalapeno, who uses magical cheese to transform key issues like gun violence, stealing and fighting. And Fantastic Girl, who has the power of water to stop floods and fires, end drought, and clean the community. Through this mural project, AHC is able to provide opportunities for collaboration and to become key stakeholders in creating peace and beauty in the community, by working with local artists, youth and area residents to empower and revitalize an area that has been deprived of the city's resources, becoming a hotbed for crime, violence, tagging and blight. It is AHC's goal to engage community participation in the beautification process of public spaces, which will create a stronger investment from Oakland residents to keep the city safe for all. Currently, OSH is in the final stages of the approval process with the City of Oakland and CALTRANS. Production is expected to start in March 2017, following a fundraising campaign with a goal to reach $75,000. Funds from the campaign will support an estimated 30 jobs for muralists, youth artists and on-site security, pay for insurance and permits, provide paint and other necessary supplies to complete the mural, and ensure on-going maintenance to keep the surrounding area free from trash and litter. Stay tuned and make sure to follow Oakland SuperHeroes Mural Project for updates. Win a 5-Day Stay in Kauai at AHC's 27th Anniversary Gala! Join us at our 27th Anniversary Gala for your chance to win a 5-Day stay on the beautiful island of Kauai, Hawaii! Enjoy a piece of paradise during a 5 day stay for two on the beautiful island of Kauai at Wyndham Kauai Beach Villas. Wyndham Kaua‘i Beach Villas, located just a few minutes from Kaua‘i's main airport and just north of Lihue, the island's largest city, sits right on the magnificent "Coconut Coast" shoreline. Enjoy the privacy of a beachfront resort, while being minutes away from world-class golf, fine dining, quaint towns and sightseeing pleasures. This vacation destination is designed to delight the most discriminating traveler. Plant your toes in the sand and take in the salty breezes and ocean views. Win this top prize from our $10 raffle! Only available at our 27th Anniversary Gala. Calling All Socialites! This $100 Certificate to Starline Social Club is for you! Located in a 19th century Odd Fellows Hall and Saloon, the Starline Social Club is a multi-use community space, featuring a restaurant, bar, and two performance venues. Owned and operated by local artists and believers, Starline celebrates diversity and universal tolerance seven days a week, through music, dance, food, drinks, residencies, festivals and more. Starline hosts a range of events from touring and local bands, along with monthly residencies such as Swing Dance Tuesdays, Jazz In The Bar, and Oakland Comedy Night to name a few. Many notable performances have taken place since Starline Social Club revamped their space last 2015, including the New Orleans Rebirth Brass Band, Diplo, the Matatu Film Festival (featuring Saul Williams among others), Hard French Winter Ball (featuring Sugar Pie Desanto), a chocolate sauce wrestling competition, and other exceptional acts and events. "Starline Social club is a great place to catch a drink or a late night bite! With its high ceilings, plaster walls, and winding, asymmetrical bar, the Starline has a kind of old-fashioned grandeur that speaks to the building’s long, eclectic history. The menu is tiny (maybe ten dishes total on any given night), changes all the time, and the food is straight-up California cuisine that straddles the line between highbrow and lowbrow — between a customer’s expectation of what bar food ought to be and something a little more ambitious. It’s by design that the Starline is a place where you can linger over a craft cocktail, but also where you can drop $28 on fried chicken and wash it down with a $3 Miller High Life. Starline Social Club created this $100 Gift Certificated just for us. Win it at the silent auction at our 27th Anniversary Gala!